Use the arrow keys to move and switch between weapons using ZXCV keys. Fire your weapon using the space bar. The game features many bonuses and ammo that should be collected through the game. You have to battle your way through the bionic enemy bugz, and be the hero of the day. 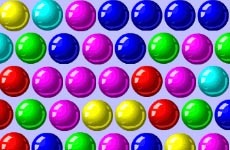 In each level of the game, you must score as much points as possible.